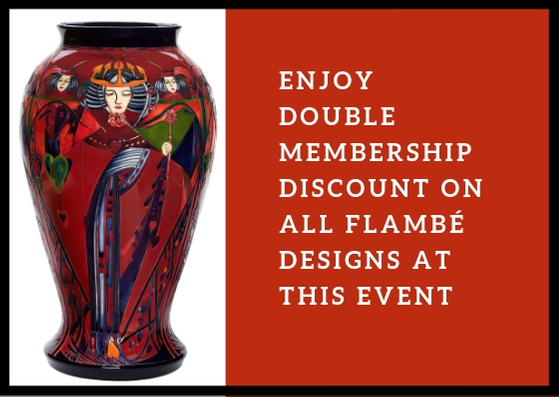 Join us for the release of a brand-new selection of rare flambé-painted designs. In most cases only one of each piece is available and all have been painted by two of our longest serving painters, Wendy Mason and Julie Dolan. For a long time Moorcroft were forced to abandon flambé as the production process was time consuming, and flambé firing was dangerous. However, in just the past few years Wendy and Julie have perfected the art of flambé painting, bringing this long lost, and now extremely sought after style back to life.